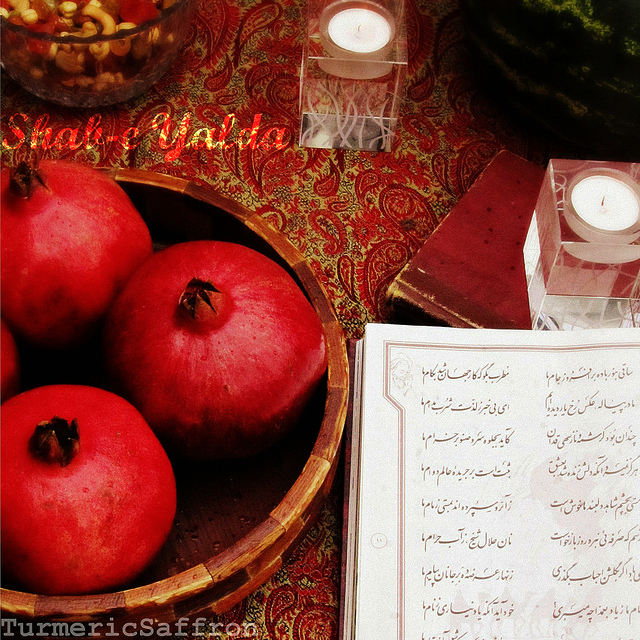 Turmeric & Saffron: Persian Yalda Celebration: Celebrating The Longest Night of the Year! 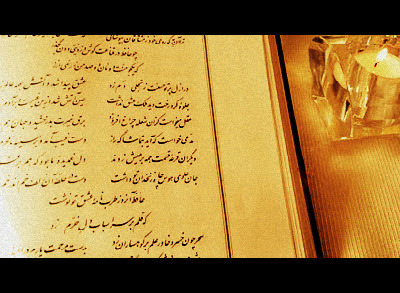 Captivating , a very interesting persian festive occasion is introduced here , when love lights the darkest night of the year. Fitri- thank you for stopping by and commenting. I'm certain that your Persian meals are very delicious. I've seen some of your photos on Flickr and on your lovely blog. However, please let me know if you have a question. 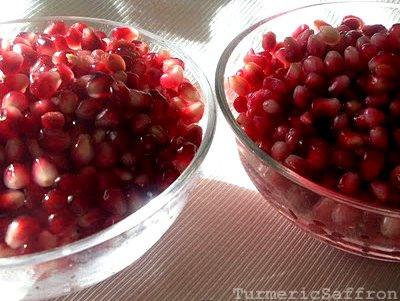 Happy Yalda to you and your family. Gabriel- "When love lights the darkest night of the year." Indeed. Thanks. This poem brought tears to my eyes. Thanks for sharing it. I wish I could read Hafiz in farsi! J'aime la cuisine iranienne qui est peu connue, malheureusement en Europe. Je suis contente d'avoir découvert ton blog. 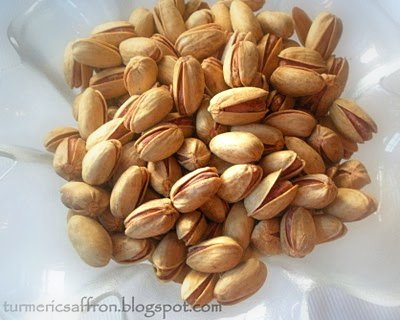 Bria- Thanks so much, I'm glad you liked the post.Happy Yalda. My Persian Kitchen Jan- shab-e Yalda-ie shoma ham Mobarak! 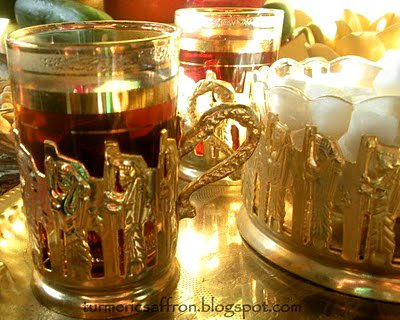 Mamnoonam Parisa jan. Shabe yaldaie shoma ham khayli mobarak. Khosh o khandan o salem o movafagh bashi, hamisheh. Happy Holidays and very Happy New year to you Azita! 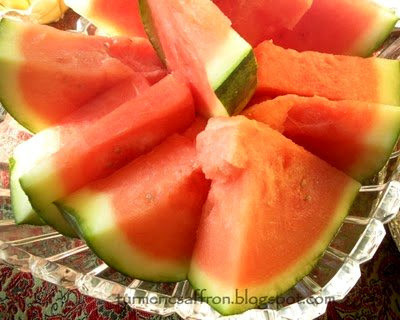 I sense a hidden yearning in your Yalda celebration. Perhaps in time, good will finally triumph over evil. Soma- I wish you a Merry Christmas and a very Happy New Year. Have a wonderful holiday! Neil- Your comment touched my heart and I sure do hope so! Thanks for stopping by and commenting.